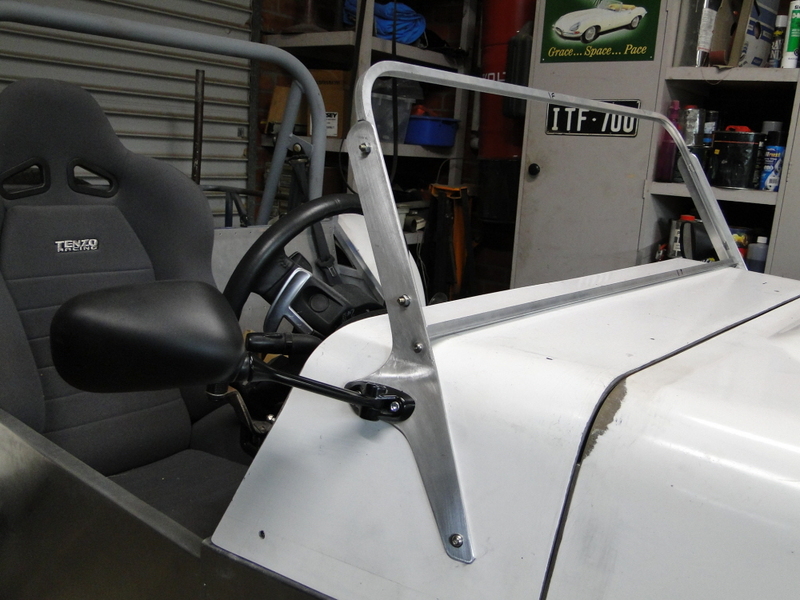 Windsrceen posts were cut from 3mm aluminium plate and utilise the side mirror mounting bolts to hold them in place, plus one extra lower bolt. All components will be smoothed and polished prior to final assembly. The windscreen frame is mounted to the posts by 2 bolts on each side and the nuts shown here will be replaced with chromed dome headed nuts during the final assembly. Windscreen angle is approx 30 degrees and about 300mm high. Angle and height were arrived at after juggling appearance and functionality to arrive at the best compromise.